A guided trail spotting one of the country’s most recognisable and iconic birds is to start running next month. The brightly-coloured kingfisher is at the heart of a two-part festival in Bolton and Clifton in September. Activities will include folk musicians, costumed storytelling, animal handling, guided walks, heritage information, green woodworking, willow weaving, scavenger hunts and wildlife surveys. So why base a whole festival around a single bird? 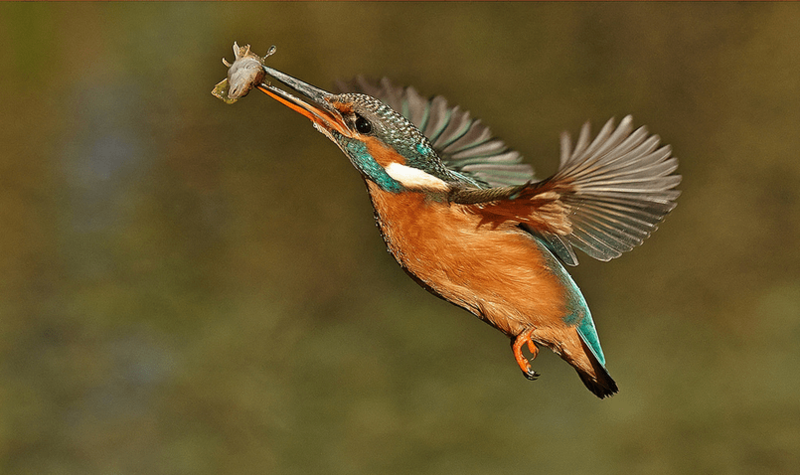 The tiny kingfisher at its peak weighs no more than an ounce, about the same as a slice of bread. But it’s a giant in other ways. Its electric-blue back and copper front make it unmistakable. Kingfishers can be spotted on riverbanks or streams, often sitting quietly on low-hanging branches over the water, suddenly diving in to catch a small fish. While it is popular, its numbers are under threat from riverbank erosion and unstable habitats. The species is also classified in the UK as an ‘Amber List’ species under the Birds of Conservation Concern review. So the 14-mile Kingfisher Trail is set to reset the balance, providing visitors to Bolton, Bury and Salford with glimpses of the UK’s most colourful bird and lots of other wildlife but not forgetting that industrial past. The Kingfisher Trail Festival, running on two Saturdays in September, will celebrate the heritage of the three great Northern towns and offer people a chance to get involved in a number of ways. The first festival day at Moses Gate Country Park, on Saturday 10 September will see local wildlife groups and organisations involved in restoration and uncovering the history of local canals. At the other end of the trail, in Clifton Country Park, on Saturday 24 September, there will be a similar celebration, including the uncovering of an old longboat from the canal by Salford Council volunteers, after decades buried in the mud. At both days there will be a mix of experts in local wildlife, canal groups, geologists, anglers, model boat enthusiasts and arts groups. Six folk bands will play over the two days and Stone Soup Outdoor Theatre will be telling some of the wonderful tales of the canal and river bank. Organiser and Lancashire Wildlife Trust Project Officer Stephen Cartwright said: “This free festival aims to raise awareness of the natural and man-made features along the Croal-Irwell Valley. 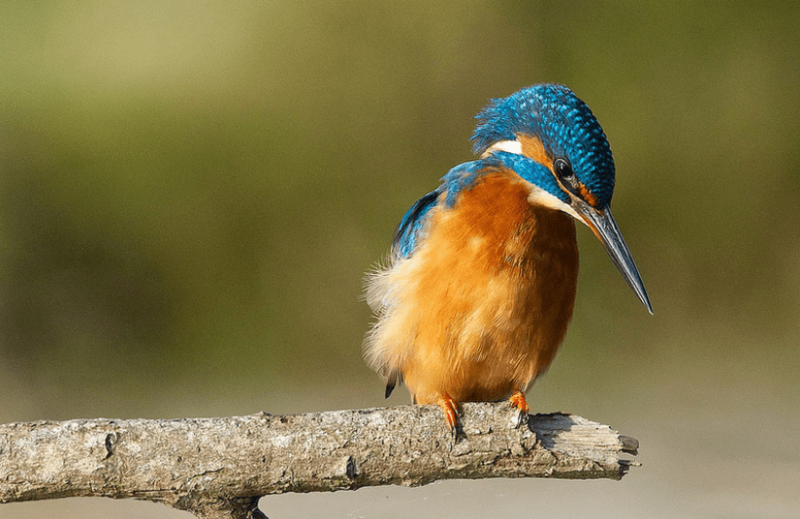 “This festival will celebrate the Kingfisher Trail but there are many more creatures taking advantage of the habitats along the 14-mile route. “And let’s not forget the remarkable history in this area including giants of the Industrial Revolution, like Samuel Crompton and James Brindley, and the canal system that kept the businesses going for more than a century. “We have history groups to tell the fascinating stories and art from throughout the year, which charts the changes. “The legend is that the kingfisher was a dull-coloured bird which flew off Noah’s Ark and absorbed the blue of the sky and orange of the sun. Walks will take places to out-of-the-way areas to see spectacular landscapes and to hear how nature has reclaimed these areas. And what are the chances of seeing a kingfisher? Stephen said: “They are spotted along this stretch of the valley every day, so I would say there is a good chance of seeing them. The Clifton Country Park festival runs on Saturday 24 September from 11am to 4pm.